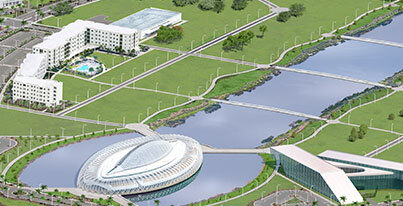 Florida Polytechnic University has partnered with Whoosh to allow visitors to pay for parking on the main campus. Whoosh is an intuitive and easy-to-use mobile parking application, using GPS locations to automatically identify where you are parked. Running late? Pay as you go! Receive parking notifications before your time expires! Extend the parking time to avoid parking tickets. History of parking transactions stored for future use! Park and open Whoosh: Park your car and open Whoosh app via mobile phone or internet. Choose location: Use Whoosh to select droplet closest to your car. Choose duration: Select the amount of time needed for your stay. Pay: Confirm your parking payment. Permission to park is granted equally and regulated by an ordinance adopted by the Florida Polytechnic University Board of Trustees. All parking fees are set by the Board. Annual permits are for the academic year, not the calendar year. Note: Visitor passes can also be purchased through the Whoosh! App. Motorcycles are only allowed to park in designated student motorcycle parking spaces (lots 3, 4, 6, and 8) and faculty/staff motorcycle parking (lot 2). Motorcycle parking spaces are restricted to motorcycles, mopeds and scooters. Other vehicles parked in those signed designated spaces will receive a citation. The Florida Poly shuttle is an easy and convenient service for students who live off-campus or students without transportation. 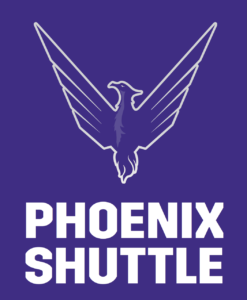 The shuttle passes through select off-campus housing locations as well as the Plantation Square Publix shopping center. Our real-time map also allows you to accurately gauge your schedule and arrival/departure time. Shuttle service does not run on University holidays, weekends, winter break, spring break and summer break. **Late payment charges: If a university citation is not paid or appealed by the time provided on the citation or in the university’s policy, a $10 late fee will be charged. A 2.3 percent convenience fee is applied to all credit card transactions. For more Parking and Transportation questions, please refer to the Student Parking FAQ section found here.